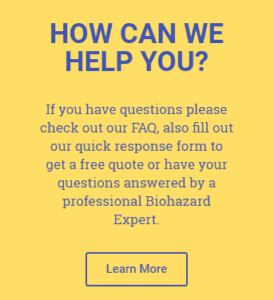 As the weather gets colder, often the calls our professional biohazard and trauma cleanup and restoration company gets become more frequent and urgent. Certain biohazards tend to proliferate in the winter. There are a number of reasons for this. Homeless encampments are a major problem here in this part of the Pacific Northwest, and as the temperatures drop, communities are closing down outdoor homeless dwellings in an attempt to move these people into warm shelters. Once the residents have been removed (sadly, it is often forcibly), those homeless camps must be cleaned up. Homeless encampments are almost always contaminated with a variety of biohazards as well as safety issues. And sometimes there is property that must be restored due to damage. Transmission of certain bacteria and viruses rises in cold weather, as people are more often indoors in confined spaces and exposed to airborne threats, such as cold and flu viruses. Surprisingly, most childhood diseases can be spread through the air. These include measles, mumps, chicken pox, and pertussis (whooping cough). At milder times of the year, windows may be open, providing ventilation that can dissipate germs. But in winter buildings are closed up, and modern construction has created spaces that are almost air-tight, meaning ventilation with fresh outside air is unlikely. Being in closer contact due to spending more time indoors also facilitates the spread of contact-transmitted infections organisms, such as those that cause cold sores. Certain pathogens are easily spread by contact with a surface such as a door knob or water faucet handle. Cold temperature itself may be a culprit. 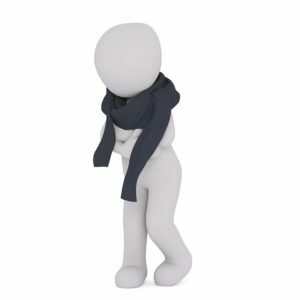 Many scientists believe that the stress put upon the body to cope with the cold can impede the immune system via stress. Or it could be the furnace. Forced-air furnaces may make homes and offices more comfortable, but they also facilitate the spread of airborne microorganisms like viruses and bacteria. Seasonal stress can cause a rise in suicide as well as natural deaths, which when unattended may result in blood and other bodily fluids being spilled, requiring professional biohazard cleanup. While you probably can’t prevent unexpected deaths and trauma at any time of the year – especially in winter – you can do your part to cut down on cold and flu germ transmission in your home as well as the public spaces you are in but following some simple hygiene practices. MedTech Cleaners is a Spokane-based biohazard and trauma cleanup and restoration company. We’re here to help, 24/7, no matter the season.